A princess who's also a witcher, Ciri is far and away one of the best characters in The Witcher 3. She's pretty great in Gwent as well. In fact, she's recently become so popular that CD Projekt Red has decided to nerf her in the game's latest update. 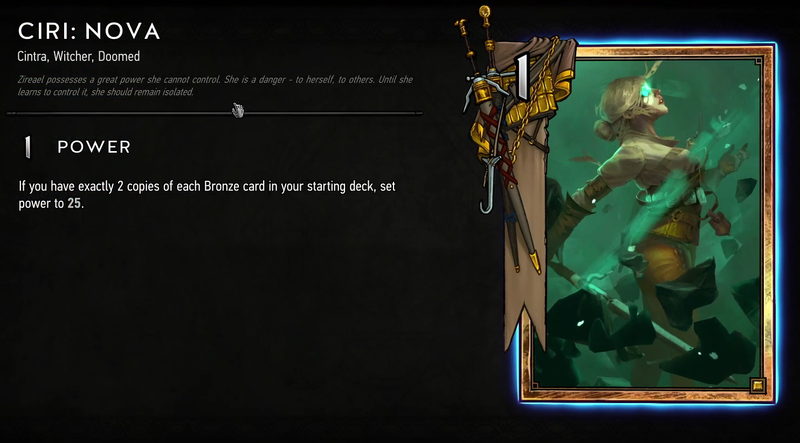 There are currently three different Ciri cards in Gwent, but the most popular in recent weeks has been Ciri: Nova, a card that only has one power unless the player has exactly two of every bronze card in their starting deck. If that's the case, Ciri: Nova jumps from one to 25 power when she's played. Today's patch made changes to 50 cards, along with Ciri: Nova. She now jumps to 22 instead. It's a seemingly small difference that CD Projekt Red nevertheless hopes will stop her from being so overused. The game's latest patch has changed Ciri: Nova's power from 25 to 22. 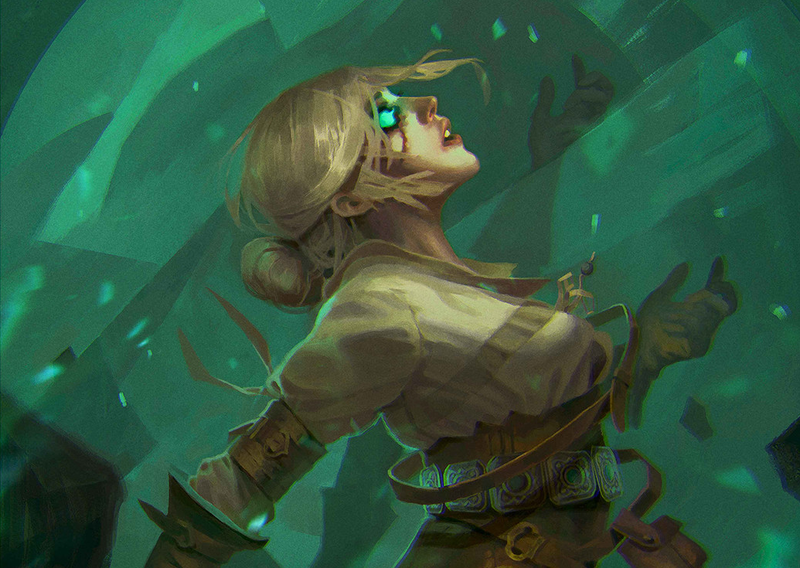 While there aren't many top tier decks built around her, Ciri: Nova is a familiar sight for average players climbing through the lower rungs of each seasonal ladder. As a neutral gold card, she can be included in any faction deck, making her that much more prevalent. I have a handful of decks that rely on her, and I enjoy playing her for come-from-behind wins every time. Ciri: Nova has seen a lot of play since its inception into the game. She's been a powerful finisher. 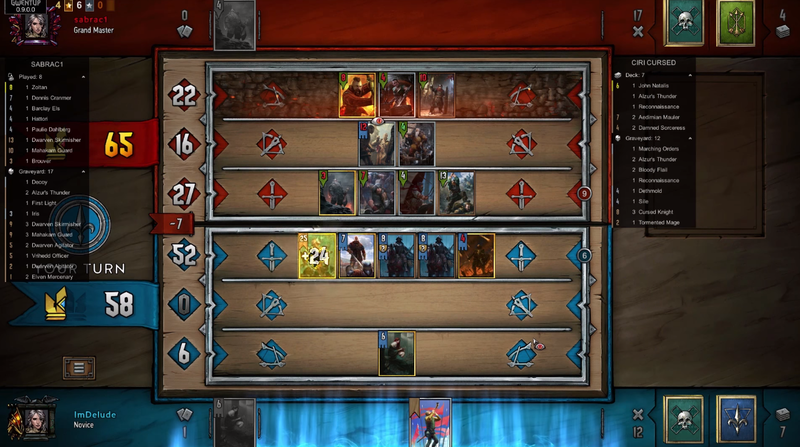 One that could be easily countered with Geralt: Igni, which, based on stats, isn't among cards being used the most. By bringing down the card's power down to 22 points we're making it slightly weaker when it comes to raw numbers, but still susceptible to Scorch. Some players are already arguing about whether this is even truly a nerf to the card, since bringing her power down to 22 means she's no longer susceptible to Igni, a card that destroys the highest enemy on an opposing row as long as that row's power totals 25 or more. Ciri: Nova is almost always reserved for third turn drops when both players have only a few cards left to play. She's a closer, in other words, and a big one, even at 22. Players who held onto Igni until the end when they thought Ciri: Nova would be played had the perfect trump card, but no longer. The update, which comes alongside a new competitive season, is full of other nerfs and some bug fixes, including a dramatic change to the old Commander's Horn which now maxes out at 15 additional power instead of 20. You can read the rest of the patch notes over at the Gwent website.